It’s September 1. 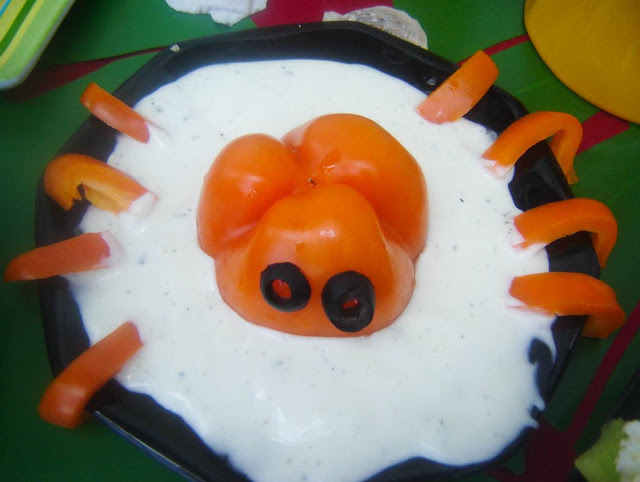 My Pinterest stream is filling up with gorgeous gourds and spooky spiders. There are even candy canes getting mixed in with the candy corn. And while I long for the crisp air and festivities of the upcoming months, the temperature outside my home is currently 106 and rising. Makes it kind of hard to want to break out the scarves and hot cider. Perhaps you are in the mood for a little more Summer fun, before deflating the beach balls and emptying the kiddie pool. 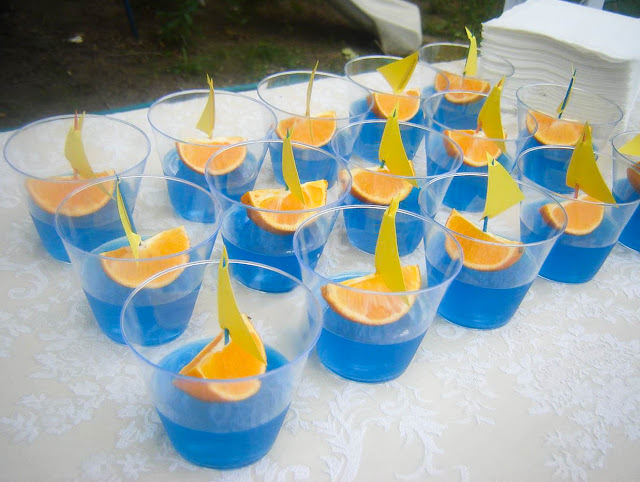 This Labor Day weekend would be a great time to have a “Farewell to Summer” party and cram in a some last-minute summer fun before moving on to autumn! 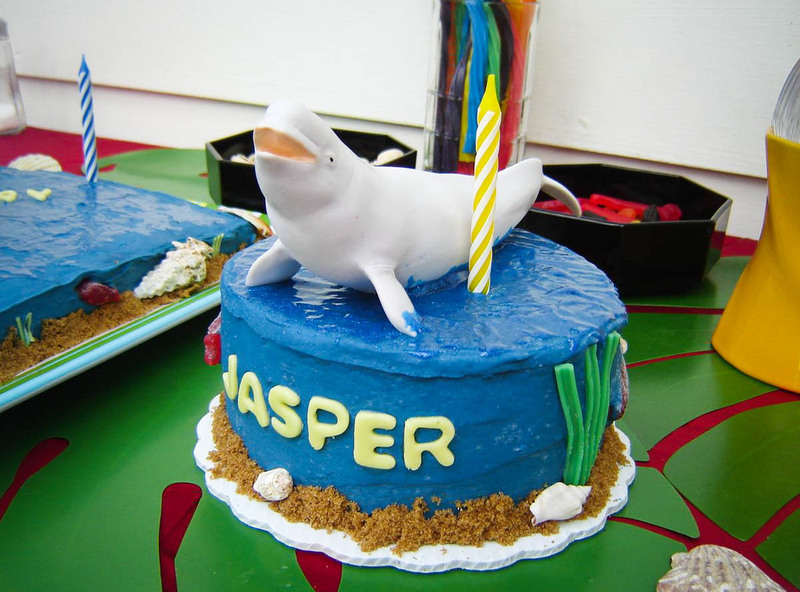 Last month my sister threw a seasonally appropriate under-the-sea birthday party for her two little guys. Her son is obsessed with whales, so she played that up with tons of great food and fun, plus a trip to the aquarium to see some sea life up close and personal! 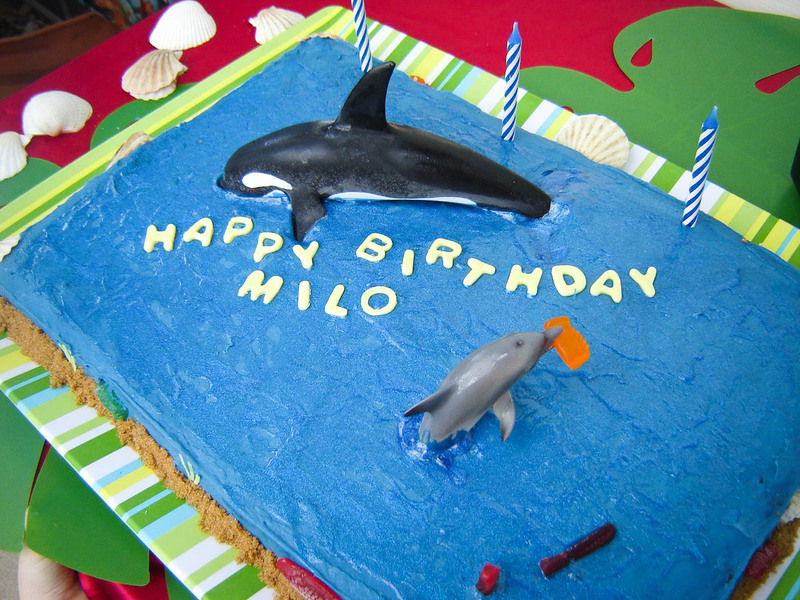 She made these cute cakes (one for each boy), but kept the decorating pretty simple by using toy whales on top(double as gifts). I love the brown sugar “sand” and candy seaweed! 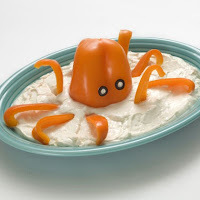 …and this octopus bell pepper and dip, both because they are thematic and cute, but also they are healthy! It’s so much easier to find cute ideas in the sweets department. 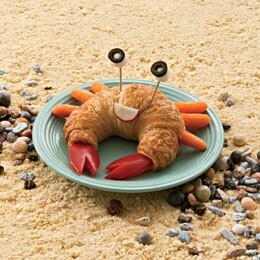 But this proves that party food can be fun and somewhat nutritious. These individual sea scenes are blue jello with an orange slice boat, floating on top. Fun! Right? 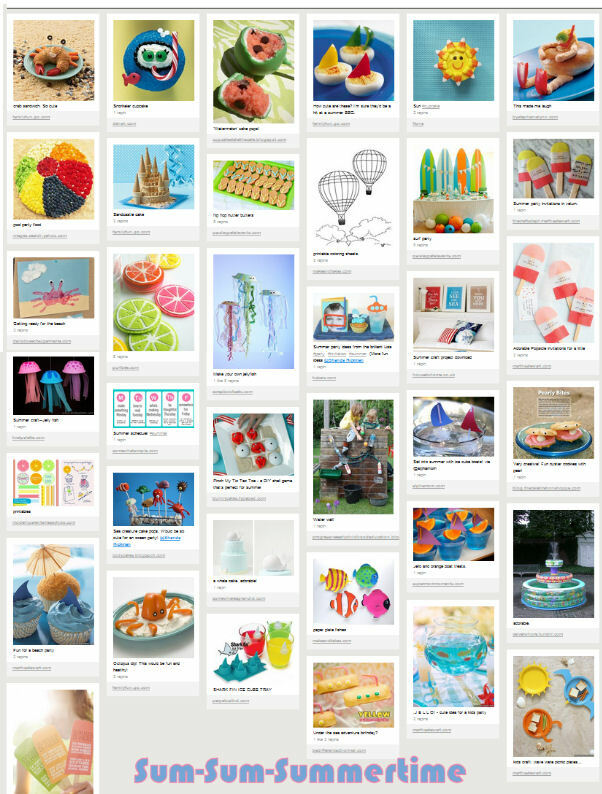 There are tons more fun ideas on my summer Pinterest Board! So have you got a little more Summer left in you? Or are you on to the pumpkins already? What are your Labor Day plans? I am addicted to Pinterest! And I just posted a Labor Day party too 🙂 A white party! 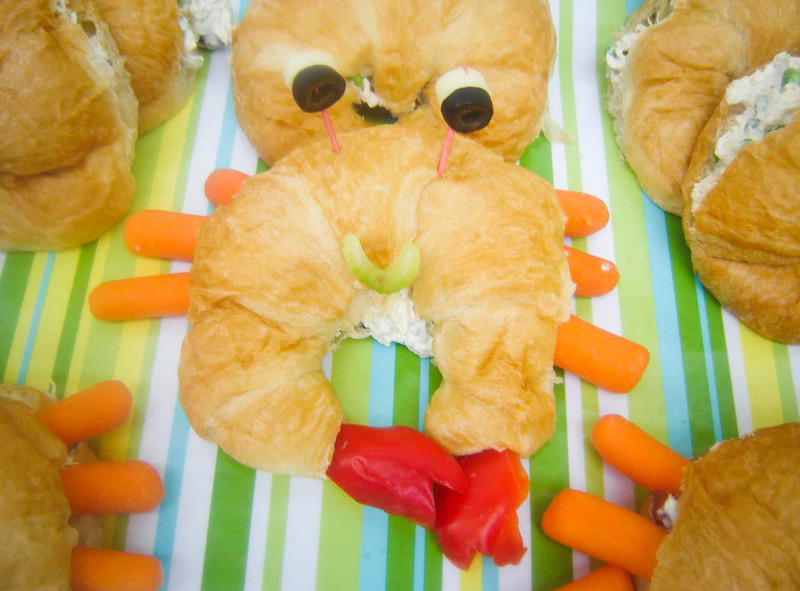 I'm going to go find you on Pinterest now. Happy pinning!